How’s Your Project’s Cash Flow? In an uncertain economy, a positive cash flow is imperative. Your goal should be to exit the recession with the same amount of cash you entered with. If you don’t have cash, you won’t be able to fund the materials and labor necessary to take on additional work when the economy recovers. Your accountant furnishes you with a periodic cash flow statement at the end of the period, but very few subcontractors do a cash flow statement on their individual projects. A project cash flow statement will let you know how each job is affecting your overall cash flow. You can download an Excel template for a simple cash flow statement at http://office.microsoft.com/en-us/templates/statement-of-cash-flows-TC001046101.aspx?AxInstalled=1&c=0 . You should have your project manager furnish a monthly cash flow statement on each project. You only need to do the top section, Cash Flows from Operational Activities. It is only 7 lines long and you are only concerned with the top three lines, cash received, cash paid for materials and cash paid for wages, benefits and other operating expense. The template will calculate your cash flow for the project. Why do a project cash flow statement? The project manager has the most influence on cash flow and contractors fail when they run out of cash. Front load the Schedule of Values. This is critical to maintain a positive cash flow on the job. Get the billing in on time and done correctly. Re-work on the billing is deadly to cash flow. Negotiate for payment of stored materials. Negotiate lower retention terms. Make sure the contractor passes through any reductions he gets from the owner. Email your invoices. Even if you are still required to mail an original, the contractor will still be able to include your billing for the month if the mail is delayed or lost. Utilize ACH payments. The money is sent directly from their bank to your bank. Get a check scanner from your bank and immediately scan any checks received. Have one person dedicated to collections. 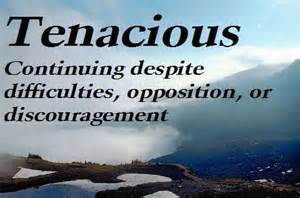 Must be tenacious.